This popular Mexican railroad was built in 1961. It took almost 90 years and $ 90 million to build, to date remains the only land connection between the cities of Chihuahua and Los Mochis. Sinaloa, this railroad goes into the majestic landscapes of the Sierra Tarahumara. El Chepe whose journey of 656 kilometers including 37 spectacular bridges and 86 tunnels impressive. In 2005 in La Paz, B.C.S. 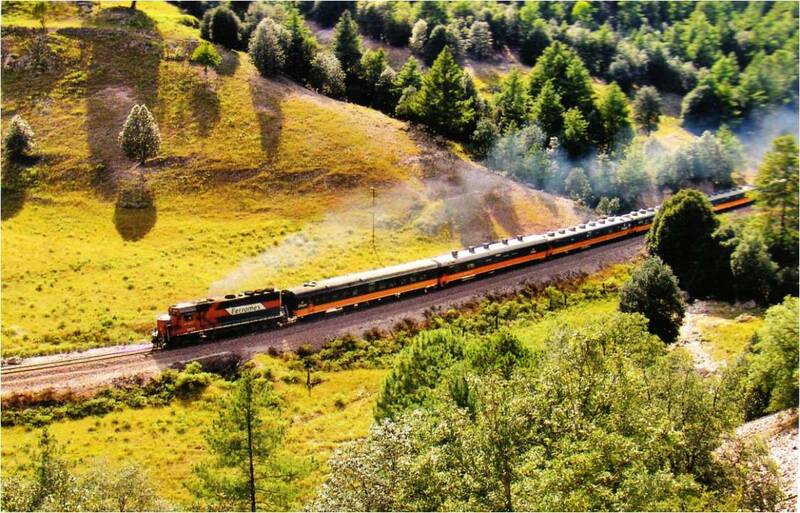 and within the framework of the World Tourism Day, the Railroad “Chepe” was recognized accrediting him as one of the ten most spectacular train journeys in the world. The Railway offers visitors two services: First Express and Economy Class. 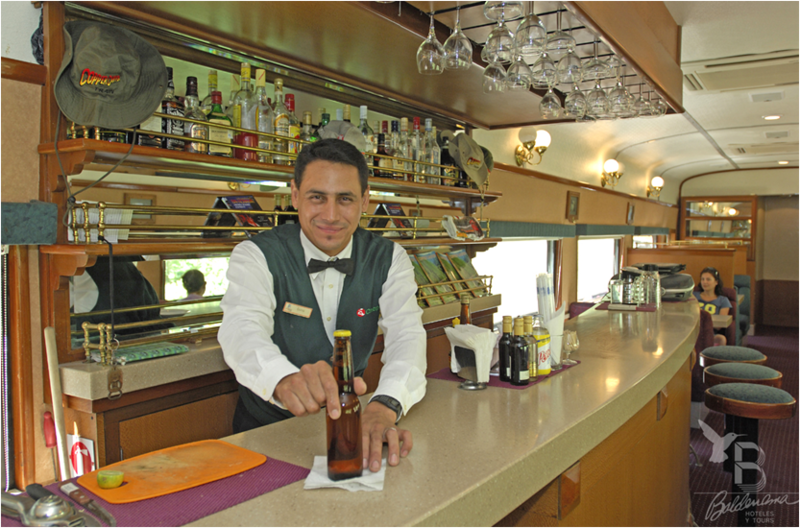 First Express: The service leaves the station Chihuahua to the Mochis and the Mochis to Chihuahua at 6:00 am local time. 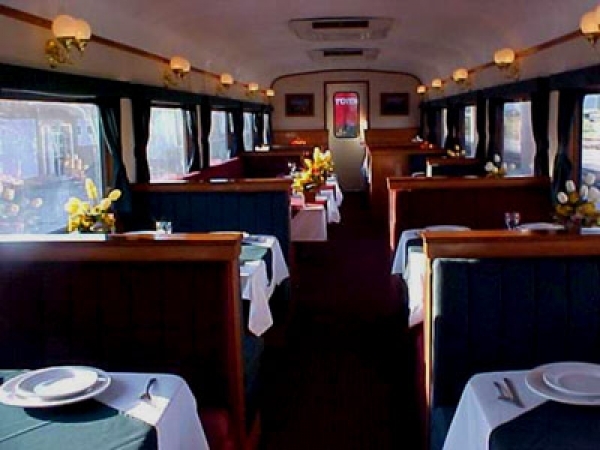 The train makes stops at major tourist spots: Cuauhtémoc, Creel, Divisadero, Posada Barrancas, Bahuichivo / Cerocahui, Témoris, El Fuerte and Los Mochis. 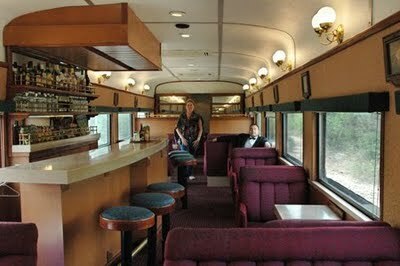 Each of the trains are composed of a dining car, bar car and passenger cars, cars with 64 passengers, with ample sanitary ecological system. It has reclining seats, air conditioning service, heating, food and beverage service, and porters service all the way to give attention to the passengers. Economy Class: The service leaves the station Chihuahua to the Mochis and the Mochis to Chihuahua at 6:00 am local time. Each of the trains has 3 or 4 cars for 68 passengers, with air conditioning and heating, with ample sanitary ecological system. Each car features doormen service all the way to give attention to the passengers. It has an area of snack type, consumption is not included in the price. 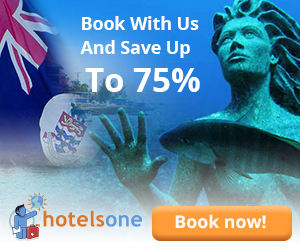 Take the opportunity of a unique train journey, book your tickets early.